Interesting start on the nose with smoky bacon, blackberry and plum followed up on the palate by fig, date, more blackberry and olive notes. Layers of black pepper and an unidentified meatiness kept showing up on the palate which was quite nice. Full bodied, rich and spicy and very well integrated for just being released in April. About this time last year I visited and wrote about MonteMaggiore Vineyards in the Dry Creek Valley of Sonoma County. When I have wines from California (or elsewhere) that I know I can’t get easily, it makes it hard to drink it. Well, I had two wines left from MonteMaggiore, one being their 2004 Paolo’s Vineyard Syrah, which I opened last night. After I pulled the cork I noticed a good 1/8th of an inch of sediment on the end of it, so I made sure to run it through the little mesh screen as it went into the decanter. This wine was just jumping out of the glass, I believe my tweet about it last night was precisely that “the ’04 MonteMaggiore Syrah is killing it!” Well it kept killing it with rich, layered, Syrah goodness leaving me both happy and sad, realizing with each sip I was closer to the end of my last bottle of this wine. If you have a bottle of this, or can find a bottle, it is drinking great right now and I highly recommend it! Big and elegant all at the same time, this wine provides rich fruit flavors with hints of herbs that round out the palate quite nicely. Even with 22 months in oak it doesn’t come across oaky at all, very balanced with nice hints of pencil shavings that I don’t usually find on a Cab based blend from the US. This month, Wine Blogging Wednesday created by Lenn Thompson of LENNDEVOURS, is in it’s 60th edition and hosted by Megan at Wannabe Wino. Her theme this month is anything Zin, and pairing it with BBQ and or grilled meat. Well since I’m a vegetarian I couldn’t comply with the second part but I did the first and served it with a great pizza from my favorite local pizzeria Angelos. I thought it would be funny to choose a “white zin” but I didn’t and chose the 2006 Seghesio San Lorenzo Block 8 Zinfandel. I got this as one of my wine club shipments from Segehesio about a year ago. Two words to describe this would be BIG and RICH, not to be confused with the country music band of the same name. Although as big as it was and with the 15.4% ABV it was not out of balance in any way and wasn’t over the top but brimming at the edges. The nose was as if I had walked into a coffee shop that was baking coffee cake while eating some dried figs. Amazing! 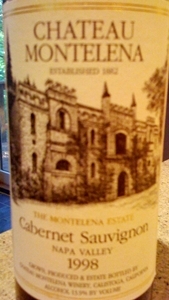 Each sip, completely wrapped my tongue in layers of dark fruit, and hints of thyme. And I know there aren’t any taste receptors on the bottom of my tongue but it seemed as though I could really taste it from the bottom up. Maybe it was dripping all the way through my tongue. Gross thought, but this was killer! Definitely could have gone with some smoked baby back ribs, but it rode nicely with my pizza!! At work the other day I had the pleasure of tasting with Sam Guibert from Daumas Gassac. If you have seen the movie Mondovino, you may remember Gassac and the Guibert family. He brought with him five wines, 2 great values from their Moulin de Gassac Guilhem line and three more pricey wines from the Mas de Daumas Gassac line. Daumas Gassac is located in the town of Aniane in the Languedoc AOC of Southern France. It was a treat to taste with Sam, 5th generation wine maker for Gassac. His passion for his families wine was fully evident as he explained in great detail each of his wines. I highly recommend the wines, if you see them in your local shop, give them a try, especially the Moulin de Gassac wine, a super value at $10 – $12. Wine Blogging Wednesday #47 is hosted by Erin and Michelle from Grape Juice and is the loosest of restrictions I have seen since I have been participating in the WBW phenomenon. 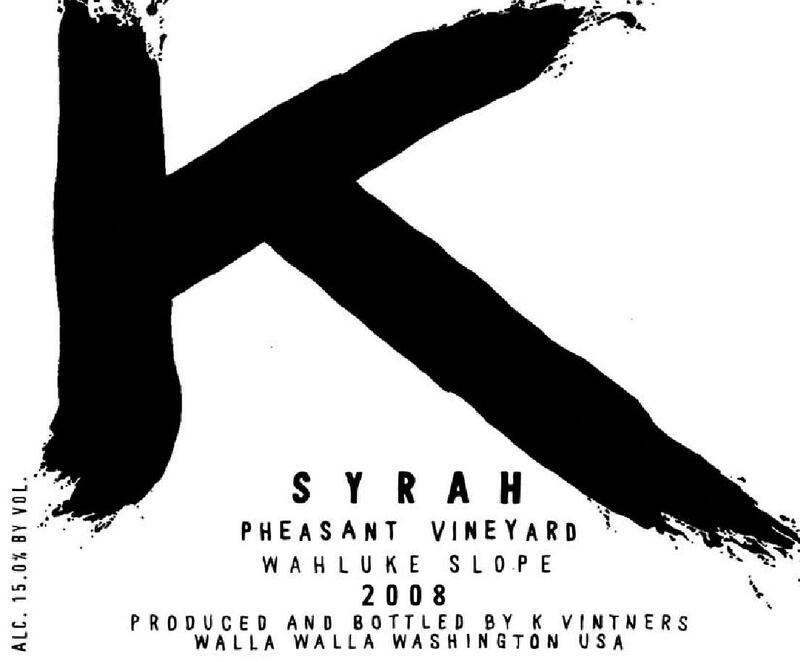 WBW #47 – Today’s Wine Brought to you by the Letter S gives us the only stipulation that some part of the wine must revolve around the letter S. Lucky for me, since I completely forgot about this WBW, I am in the wine club for Seghesio which of course starts with the letter S.
I made my way down to the “cellar” and picked out the 2006 Home Ranch Zin to go with our homemade veggie pizza and provide me a topic for the letter S. The 2006 H.R.Z. 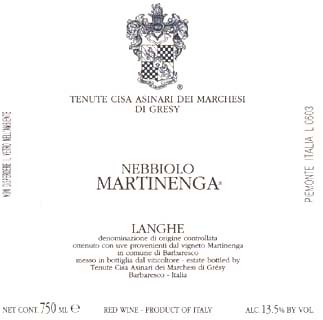 comes from vineyards originally planted in 1895 that surround the site of the first home of Edoardo and Angela Seghesio. Harvested at a 26.2 brix, the wines are aged for 11 mos. In 50% French and 50% American Oak, 33% of which is new after going through a 10 day maceration. I am always a huge fan of Seghesio Zin and the ’06 Home Ranch didn’t disappoint. The 15.7% alcohol wasn’t evident as it was well integrated with the fruit, acidity and firm tannins that were present in each sip. The luscious ripe fruit was not super jammy and over the top and that combined with the woody, meaty flavors really compounded for a complex layered Zin. At $36 (before club discount) it is in the range of the other Dry Creek heavy hitters and definitely brings the thunder for the price, with lots of layers, delicious fruit and herby goodness. Check it out, and give your salute to the letter S.
Yes I know it is Tuesday, almost a week after WBW #44, but better late than never right. The reason for my tardiness on this post is due to my procrastination in ordering the WBW Three Pack from Domaine547. It arrived Saturday afternoon (yay for Fedex shipping on Sat.) and we had it for dinner on Sunday night. 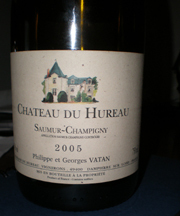 This months WBW was sponsored by Gary Vaynerchuk of WLTV fame who provided us with the theme of French Cabernet Franc. The Cabernet Franc Jill at Domaine547 chose for us hails from the Saumur-Champigny appellation of the Loire Valley and was made by the winery, Chateau du Hureau. Coming from vineyards comprised mostly of clay and limestone the 2005 Chateau du Hureau is comprised of 100% Cabernet Franc from vines ranging in age from 7 to 60 years. The 2005 was fermented for 30 days and aged only in stainless steel tanks, where the wine underwent Malolactic Fermentation (MLF). This was my first wine from Saumur-Champigny and I think only the 3rd French Cabernet Franc (100%) that I have had, both the others being from Chinon, so I was very excited to try this one. 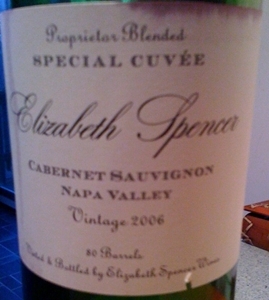 Megan and I thoroughly enjoyed this wine, as it was a fabulous example of what Cab Franc can do. Very rich in flavor, but not overly extracted like some Cali versions (trying to be Cab Sauv), with a fuller body and not as many vegetal components (some are good) as some of the versions from here in Virginia. Dominated by bright red fruit and nice fresh herbal notes with significant a tannin structure this wine may show best in another year or 2 or 3. Two thumbs up to Jill and the D547 crew on this selection, I can’t wait to try the other 2 in the WBW blogger pack.